My sister and her husband are hunting guides-like you I understand the many reasons a person hunts. I am also convinced it is a healthy alternative to processed meats-however, for now I haven’t the heart to kill anything-except mosquitoes. 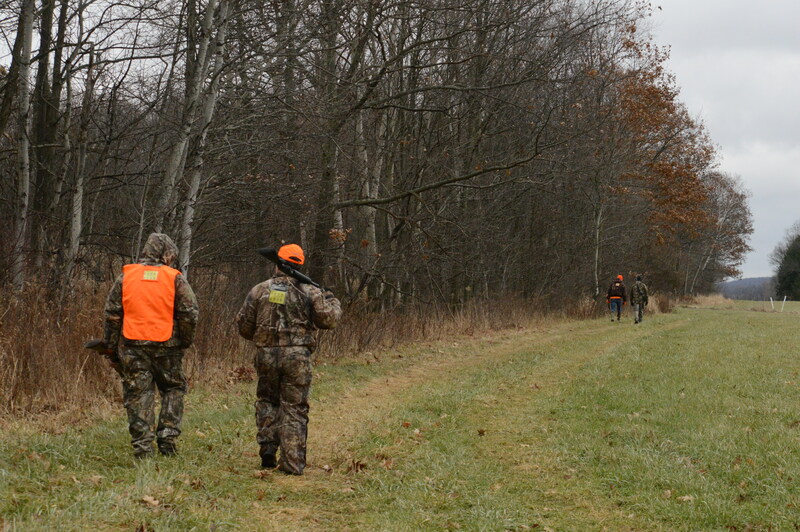 I tagged along to see the landscape on several hunting trips. I am just too old and foolishly sentimental to do this now. I know the arguments and still stand behind responsible hunters. I eat meat and haven’t a leg to stand on about killing animals. Living in the country I especially understand over population of wildlife too. My son is an avid hunter-I never argue when venison is brought home-but tell him I can’t hear the story! ha! I look forward to more of your “shooting” and will listen to your story. Don’t consider yourself foolishly sentimental because you care for the creatures of our world. It’s not a natural thing to heave a chunk of lead at 1300 feet per second (unless you’re an exploding meteor). It’s not a natural way for an animal to die. We might feel better about it if we had no guns, had to track and trap in a way more equal to the quarry. Perhaps if it wasn’t so easy. Nonetheless, this is the accursed unnatural world humankind has built, and it drags with it the responsibility to manage wildlife. A dubious distinction, indeed. It’s difficult to imagine the sport surviving another 100 years due to resistance to hunting and contentions over firearms ownership and use. A hunt can be a beautiful thing from many perspectives, and a clean kill is as humane as any can be. It’s natural for us to take what we need. As long as it’s not more than our fair share.